A barber gives a Hindu boy his first haircut before going for a holy dip in the Yamuna river on Sharad Purnima, an auspicious day for the new moon in the fall, in New Delhi, India on Oct. 29, 2012. 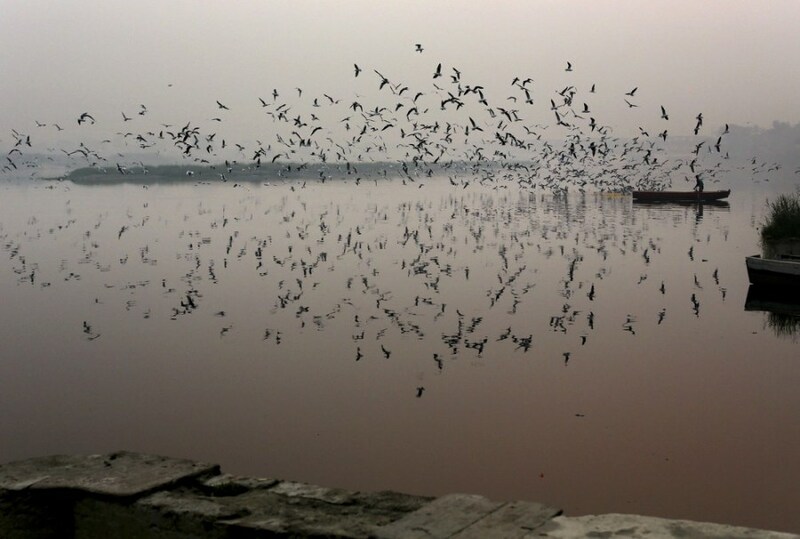 A boatman feeds birds on the Yamuna River in New Delhi on Oct. 29, 2012. 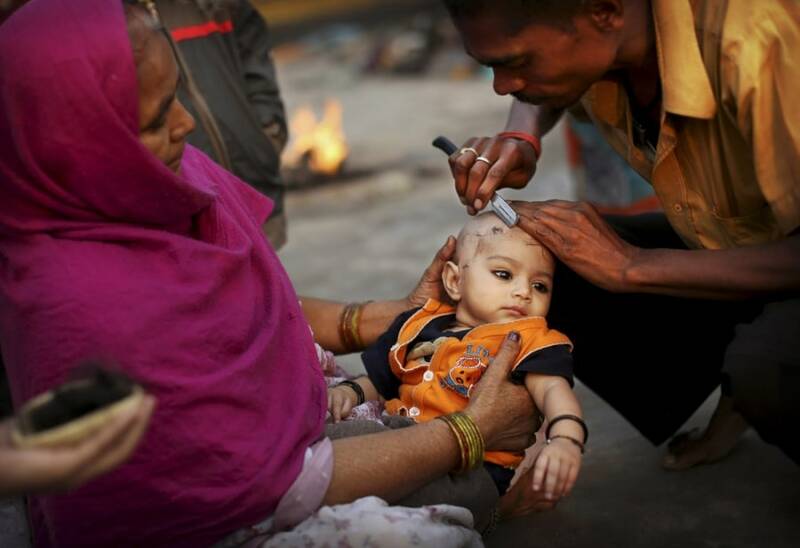 A barber gives Hindu boy Vanshu, 5 months, his first haircut as he is held by father Amit, second right, as his mother Rakhi Bansal, right, looks on before a holy dip in the Yamuna River on Oct. 29, 2012.